Since I have yet to get around to making my own cheese biscuits for Babycakes (so ambitious with the cookie cutters, I know), I found another creative use for it! Check out my abik (teddy bear), twinkle (star) and I Love You (heart) shaped carrots! Made these for dinner last night for my cantonese fried koay teow. Babycakes loves carrots but making them in cute shapes like this made eating carrots more fun for her. 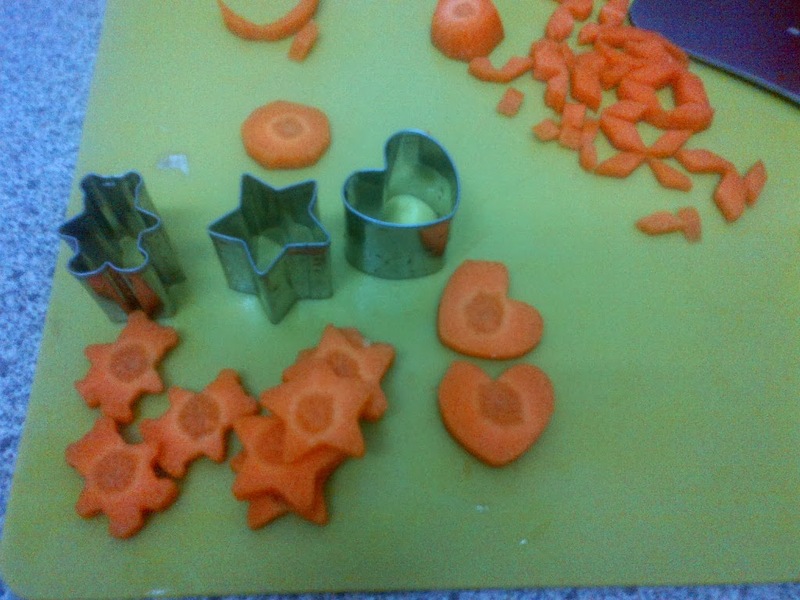 Next time I must cut the carrots into horizontal strips so that I can get more shapes out of it as compared to round ones. As for the remaining bits of the carrots, of course I threw them into the gravy as well. I too haven't gotten around to making my own chicken stock just yet. I've been using Maggi or Knorr cubes and powders for my cooking. Not so healthy, I know. 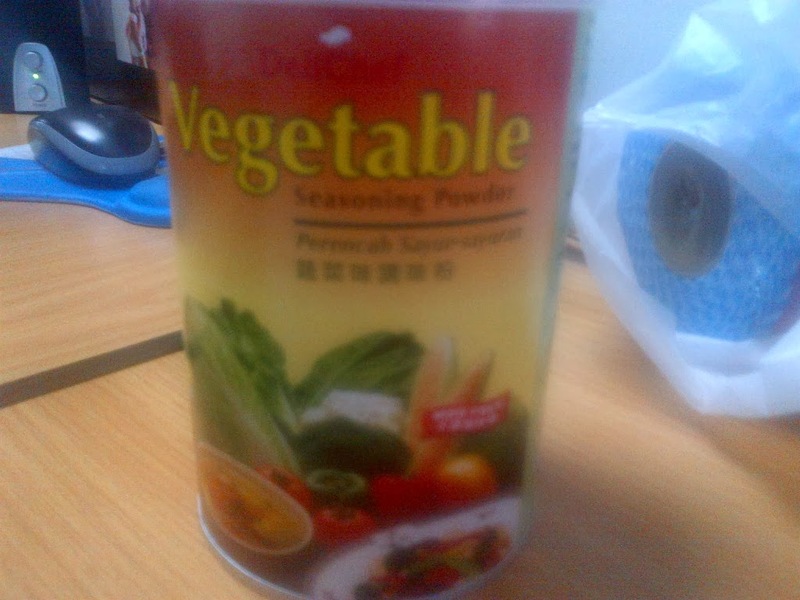 So when I found this vegetable seasoning powder at Cosway, I decided to give it a try. It is MSG-free and it's made of vegetables so it's much better than using Maggi and Knorr's right? Next I will purchase the mushroom seasoning powder and see if it tastes nice.